Hey There! I don't know about you but I am always on the lookout for recipes that are easy and healthy. I hate to really count this as a "recipe" because it is so simple, but figured I'd go ahead and share in case anyone else is looking for something quick and healthy to make too! 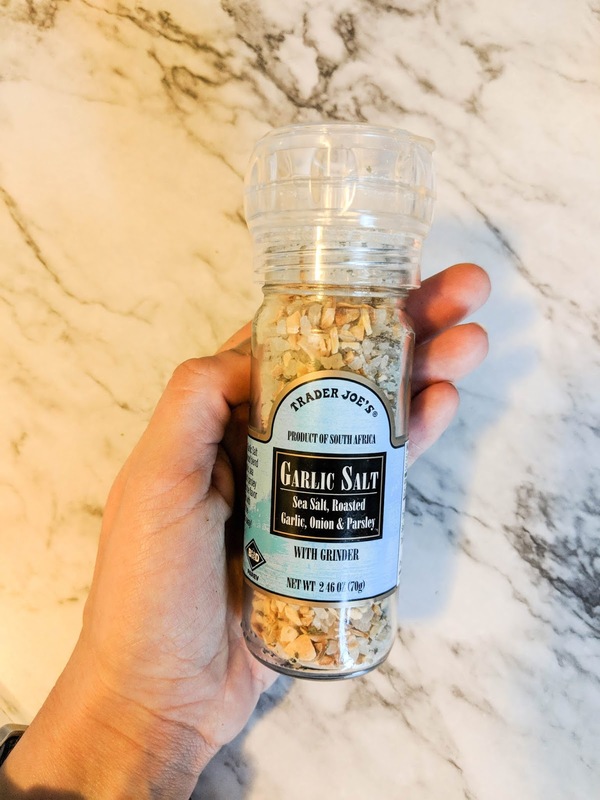 Sea salt with garlic, onion and parsley. I though I would give it a shot and I;m happy I did-- it's great! 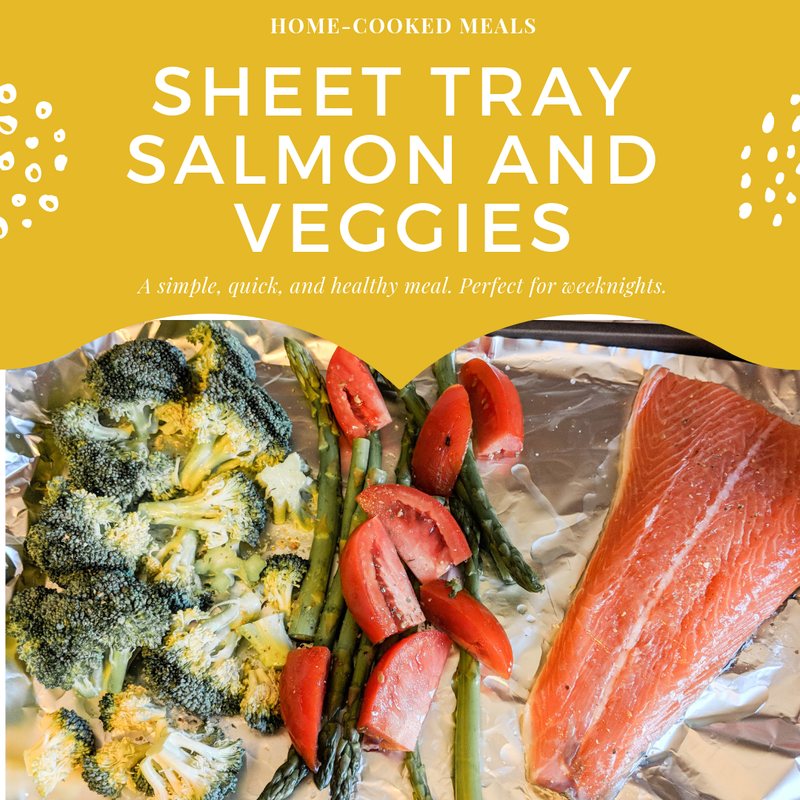 So one of my favorite "lazy" meals to make are sheet tray meals. 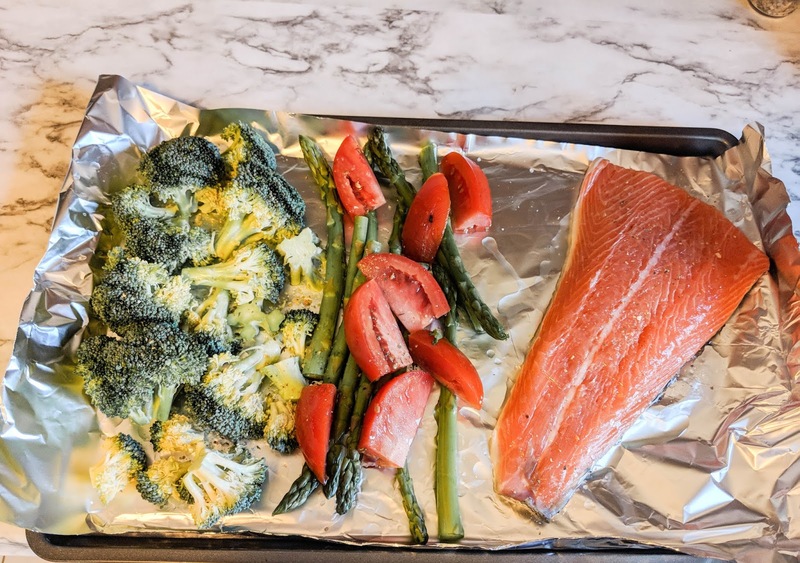 You pre-heat your oven, line your cookie sheet with foil, and put whatever you want onto the tray to cook. It really doesn't get much simpler than that. I love that I can pop it in the oven and go play with Lil and not have to do anything else to it. It also makes for a super easy clean up, which I love. We preheated the oven to 350, lined a baking sheet with foil and put everything onto the sheet. We drizzled the veggies with olive oil and the Garlic Salt seasoning, and popped it into the oven for about 10 minutes. While the veggies were baking, I drizzled the salmon with olive oil, salt and pepper. After the first ten minutes were up, I put the salmon on the baking sheet and baked it for another 12 minutes or so and then pulled it out to cool. Easy peasey! This looks delicious! And almost too easy...!